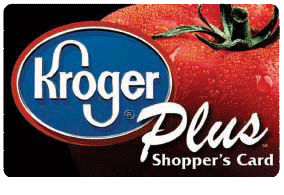 LWHA is pleased to be a participant in the Kroger Community Rewards program. This program links your Kroger Plus Card to LWHA, benefiting us each time you shop at no direct cost to you. Kroger requires that you register your organization preference annually in order to begin or maintain your affiliation, so that your purchases are credited to us. Please take this link to begin enrollment or designate LWHA as your recipient organization on your exiting Plus Card account. Bon apetite! AmazonSmile is a simple and automatic way for you to support Little Woman Home for Animals every time you shop, at no cost to you. You’ll find the same prices, selection and convenient shopping as Amazon.com with the added bonus that Amazon will donate a portion of the purchase price to LWHA. To shop at AmazonSmile simply go to smile.amazon.com from the web browser on your computer or mobile device. From there you can register your Amazon account to credit LWHA and start helping our work from wherever you are, whenever you buy.